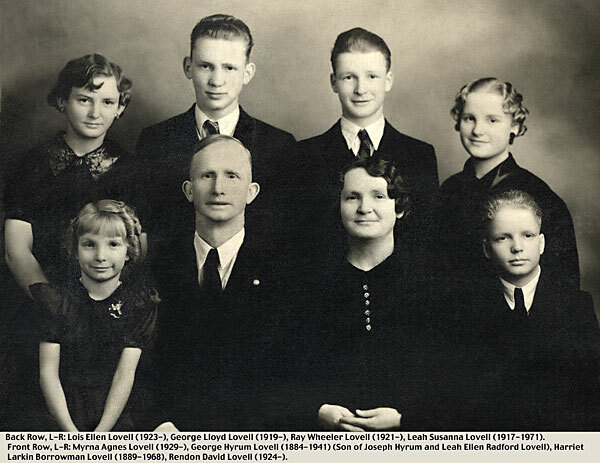 George Hyrum Lovell, son of Joseph Hyrum and Leah Ellen Radford Lovell, was born 7 February 1884 in Oak City,Millard, Utah and died 24 August 1941 at Ririe, Idaho. 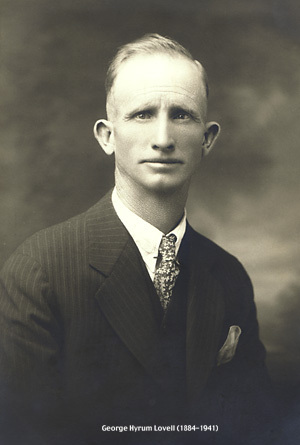 Harriet Larkin Borrowman was born 19 October 1889 in Nephi, Juab, Utah and died 6 December 1968 at Idaho Falls, Idaho. They were married 7 June 1916. Six chldren were born to this marriage.